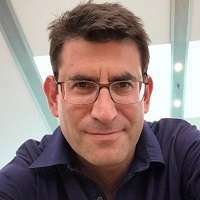 Prof Jonathan Schott graduated from St Mary's Hospital Medical School (First Class BSc 1993, MB BS with Honours in 1996), and studied Neurology at the National Hospital for Neurology and Neurosurgery, Queen Square, and the Royal Free Hospital. He completed my MD at the Dementia Research Centre using MRI to track progression in Alzheimer's disease in 2004. He was appointed as a HEFCE Clinical Senior Lecturer at UCL and Honorary Consultant at UCLH in 2009; Reader in Clinical Neurology in 2004; and Professor of Neurology in 2007.